Do-si-do and away we go! – to a square dance party! Gather the kiddos and line them up for some country-style dancing, rustic food and western-themed fun at this hoedown celebration. A simple, rustic-themed invitation can be the perfect way to invite guests to your square dance party. For instance, cardstock adorned with decorative embellishments such as horseshoes, cowboy boots or cowboy hats will set the tone for this your country-themed event. A homemade postcard is another fun way to invite guests to a party. You could use a photo of a barn, a hay bale topped with a cowboy hat, some horses or your child dressed in western attire as the image portion of the postcard. Make sure to include a line in your invitation text that asks guests to come dressed for square dancing. If you have a barn available to use for the occasion, this venue certainly suits the theme of the party. Lack of access to a barn, however, doesn’t have to stop you from throwing a hoedown. You can transform a party room or even your home’s garage into a barn with decorations such as hay bales, scarecrows, and lanterns. The most important thing is that there is plenty of open floor space for the dancing. If you can’t find that kind of space indoors, consider hosting the square dance party outside in an area with open spaces. In addition to the dance space, you’ll need to consider the music. Whether you enlist a band, hire a disc jockey or plan to do the music yourself, you’ll need to make sure your party space can accommodate the necessities for bringing the music to the dance floor. Decorations for a square dance party will follow a western, country or rustic theme. Bandannas: use them as place mats, napkins or fold them over a long length of rope to create a bandana garland. 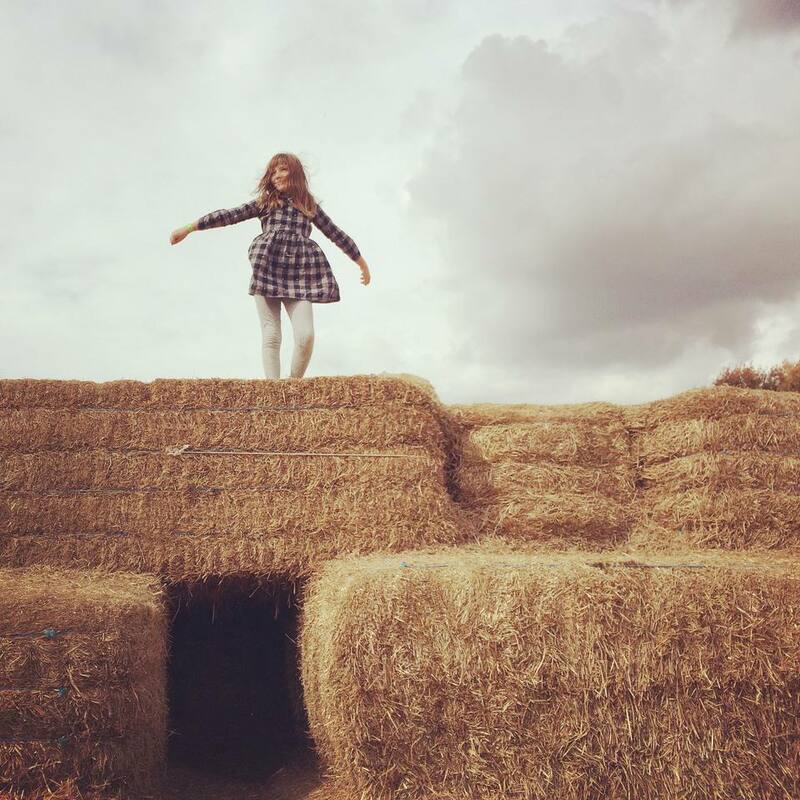 Hay bales: use them as props, and also for seating. It’s a safe bet that most kids won’t come to the party already knowing how to square dance. Since this is the main theme of the party, you may want to hire a professional square dance caller to guide them. Another option is to brush up on some country line dances and then teach them to the kids yourself. Either way, keep it on the simple side so everyone can enjoy learning the steps and participating in the dance. Square dancing can be a lot of fun and may be the only activity you really need for your party. If you’d like to offer more options for entertainment, however, you can have guests play some of these cowboy-themed party games between rounds of dancing. All of that square dancing is sure to leave those cowboys and cowgirls hungry for some grub. If you have the outdoor space for a bonfire, how about having a weenie and marshmallow roast? (Adult supervised, of course.) Follow it up with some good, old-fashioned S'mores for dessert. Sandwiches (use cookie cutters to shape them like horseshoes and cowboy boots). Make your own ice cream bar. When guests arrive at the square dance party, give them each a cowboy hat to wear for the occasion. When the party is over, they can take them home as the party favors. Burlap bags filled with treats such as candy and cowboy-themed stickers.